I’m a seashell collector. Well, maybe ‘collector’ might be too strong. I’m a seashell picker upper. In the eternal beach versus mountains vacation debate, I’m a beach person. I always stroll down the beach and see what catches my eye. That can include worn pieces of glass, rocks, and of course seashells. I feel the need to visit the beach at least once a year. Unfortunately, the nearest beach is several hours away from me. And in all honesty I would never find enough shells on the beach to craft anything from them. Shells that glisten or reflect the sun always catch me eye. I think that’s why I’m drawn to things made from capiz shells. 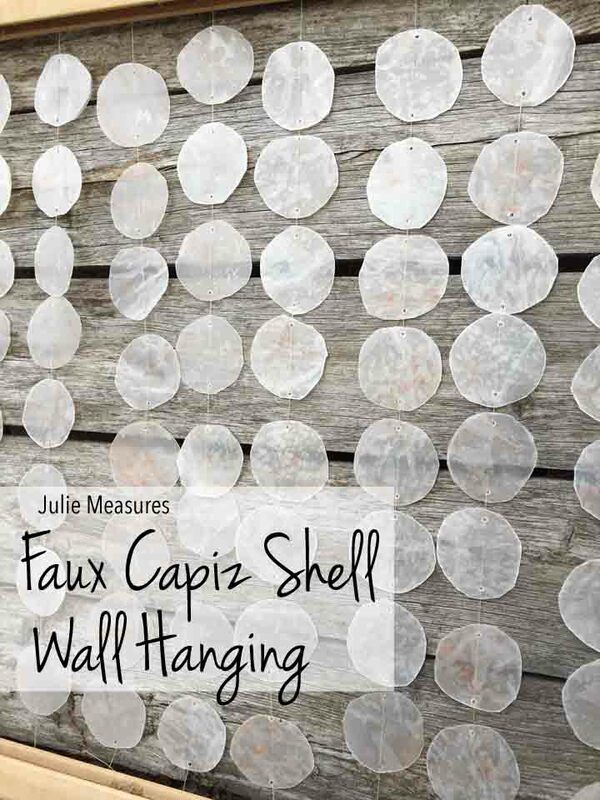 But you can create your own DIY capiz shells from wax paper. Rip off three pieces of wax paper, all the same size. Use the crayons to add color to one of the sheets. 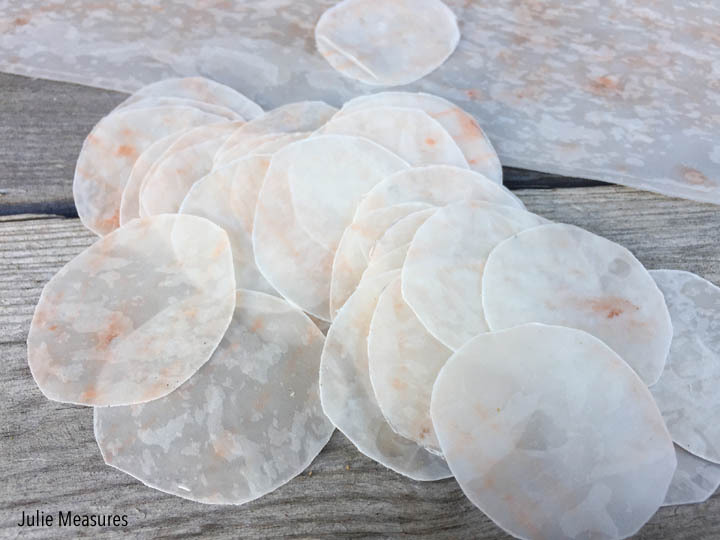 Layer the pieces of wax paper and place them between sheets of parchment paper to iron them together. 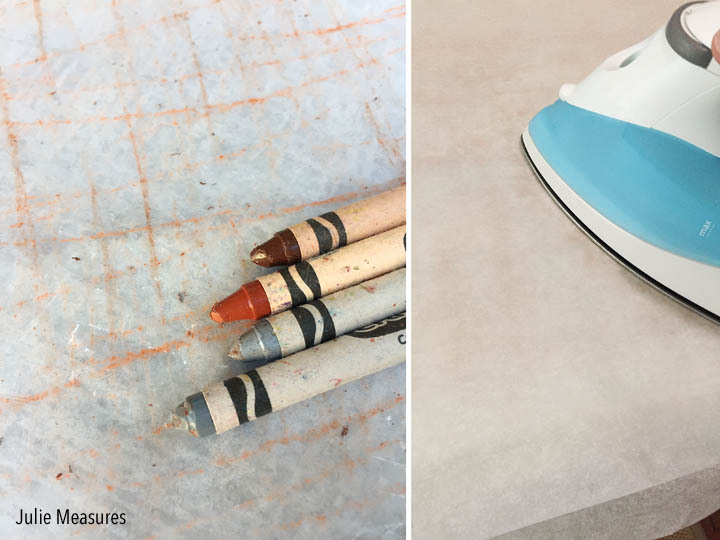 The parchment paper will protect your iron and ironing board. 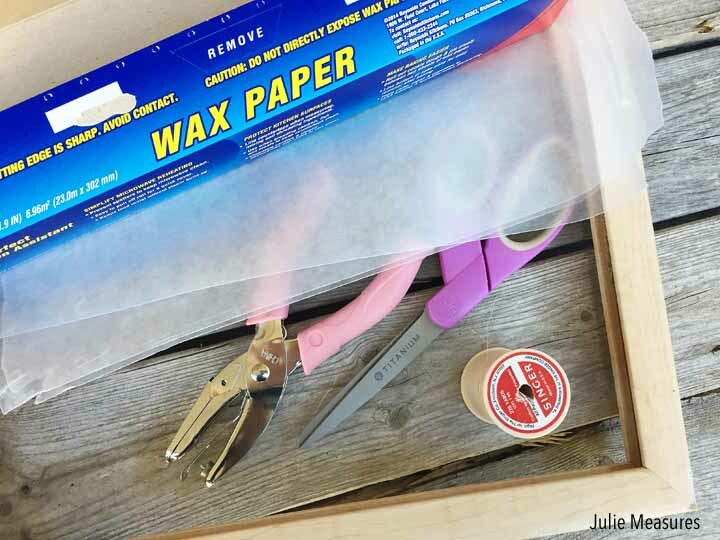 Once the wax paper is ironed together use your scissors or circular punch to cut out your wax paper circles. 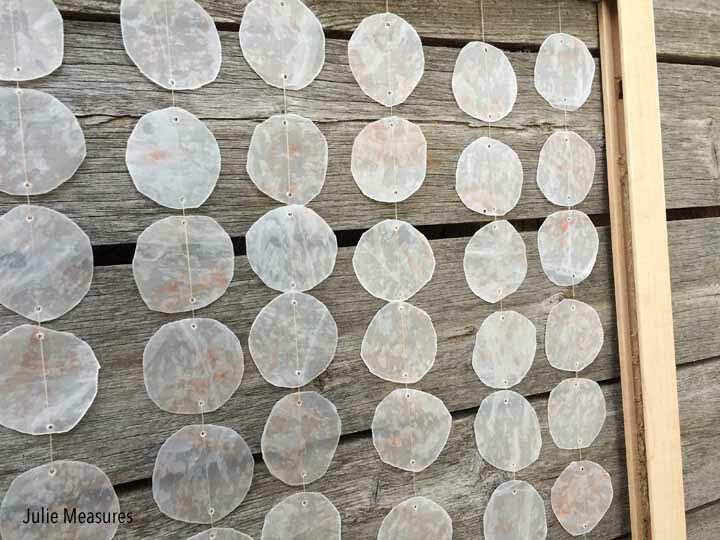 These circles are your DIY capiz shells! Here you can see the crayons add a bit of color to the finished pieces. 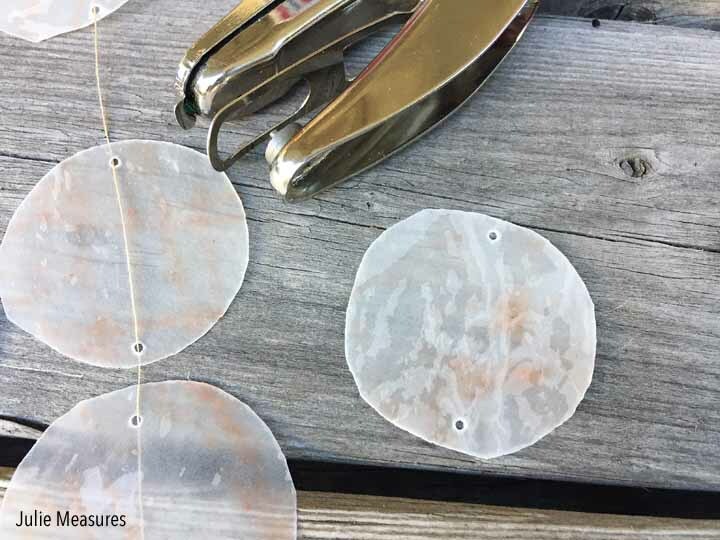 If you use scissors to cut out the circles, cut strips of the wax paper and layer them so you can cut out multiple circles at once. 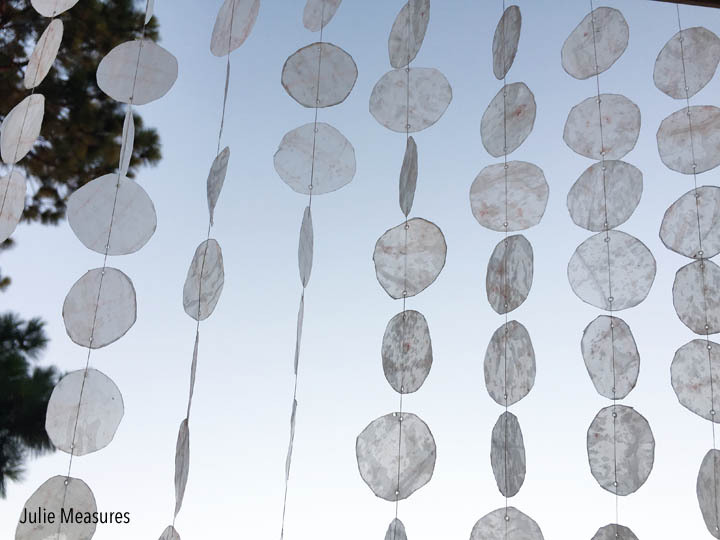 Once all the circles are cut out you can begin stringing them together for the wall hanging. I used some thread from my sewing box. 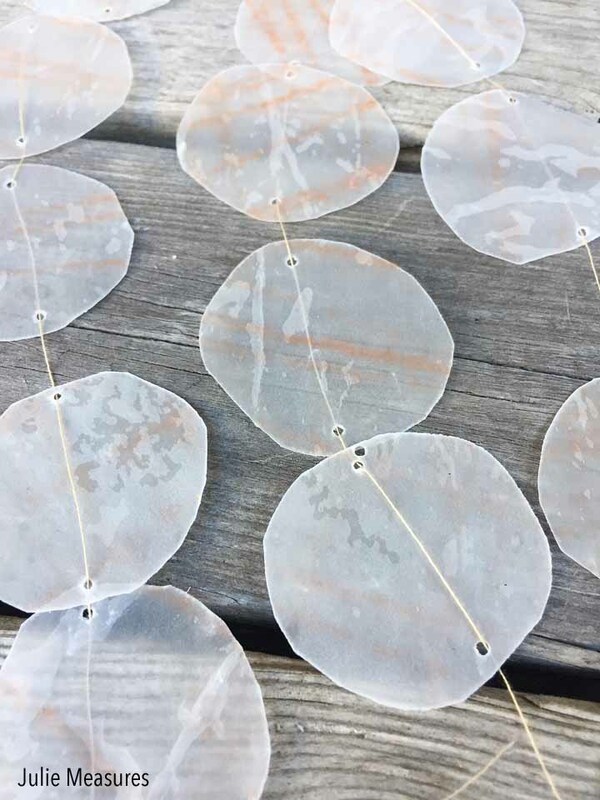 I used my hole punch to punch holes at two ends of my wax paper shells and then strung the shells on the thread. 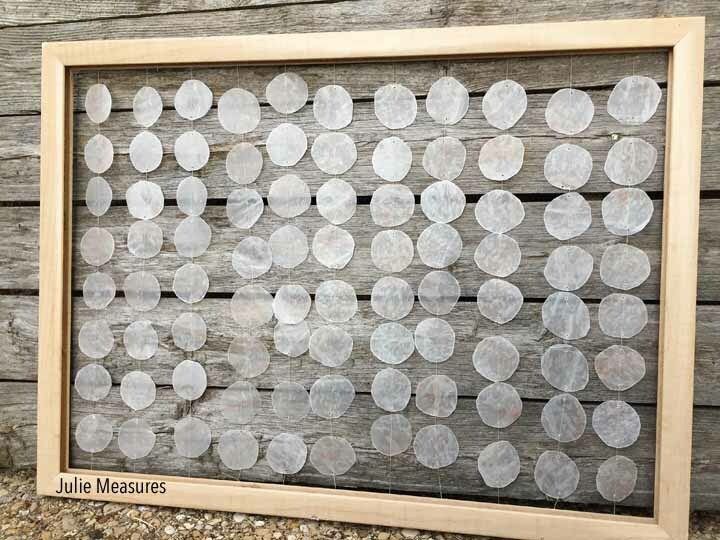 Based on the size of my shells and frame I was stringing 8 shells on each piece of thread. Once my wax paper shells were strung I used washi tape to attach the thread to the backside of my wooden frame. Holding my frame up to the sky you can see the different colors of the shells and how translucent they are, just like the real shells. I learned that capiz shells come from windowpane oysters and that they are abundant in the Philippine province Capiz. The shells are referred to capiz shells specifically when they are used in decorating. 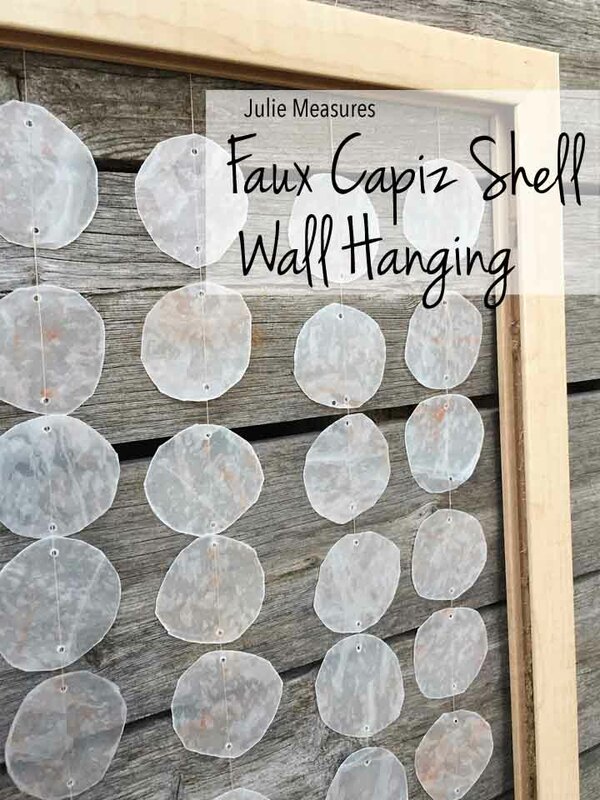 With my faux capiz shell wall hanging all finished I can hang it up on a wall in my house. I might even play some ocean sounds while I stare at it.